In terms of geopolitics, perhaps the most seminal event of the Middle Ages was the successful Ottoman siege of Constantinople in 1453. The city had been an imperial capital as far back as the fourth century, when Constantine the Great shifted the power center of the Roman Empire there, effectively establishing two almost equally powerful halves of antiquity’s greatest empire. Constantinople would continue to serve as the capital of the Byzantine Empire even after the Western half of the Roman Empire collapsed in the late fifth century. Naturally, the Ottoman Empire would also use Constantinople as the capital of its empire after their conquest effectively ended the Byzantine Empire, and thanks to its strategic location, it has been a trading center for years and remains one today under the Turkish name of Istanbul. The Ottoman Empire would spend the next few centuries expanding its size, power, and influence, and becoming one of the world’s most important geopolitical players. It was a rise that would not truly start to wane until the 19th century, and the Ottomans would maintain their empire until the end of World War I.
Osman I is one of history’s most important leaders; the founder of the Ottoman Empire, which conquered Asia Minor, most of the Middle East, North Africa, and the Balkans before reaching the walls of Vienna. In the struggle between Christian and Islamic powers, it was the first state to challenge hegemony over Europe since the Umayyad Caliphate was defeated by the Franks at the Battle of Tours in 732. Even after its demise, the politics of the Balkan states are very much influenced by the Ottoman past, and Muslim populations remain in the European lands once occupied by the Ottomans. The Middle East’s politics and conflicts trace back to the dissolution of the empire, and in Turkey, the Ottoman legacy remains a topic of national debate. President Recep Tayyip Erdogan has declared that modern Turkey is the “continuation” of the Ottoman Empire, arguing that Turkey needs to return to its Islamic roots. While there may be no contemporary records about Osman, plenty of evidence exists about his deeds, the times he lived in, and Ottoman society under his leadership. Accounts of his life where written more than 100 years after his death, and his date of birth is unknown. Even his name is not entirely clear; “Osman” suggests an Arabic origin, but he was a Turk and his name was probably Atman or Ataman. This is certainly how the contemporary Greek historian Pachymeres (1242-c.1310) renders the name, and it is possible that Atman adopted the more prestigious name Osman later in life. Most importantly, according to tradition he was the son of Ertugrul, leader of the Kayi tribe of the Oghuz Turks. 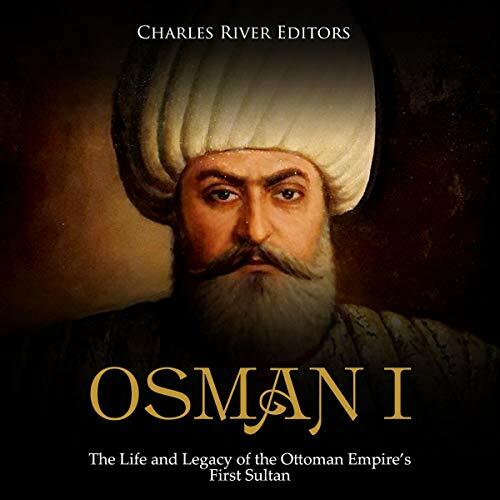 Osman I: The Life and Legacy of the Ottoman Empire’s First Sultan chronicles his life and accomplishments, and the massive impact he had on the Ottomans and the world around him. For a short book, it covered far more history before and's after Osman than simply his life. The notes cover a large portion of the first part of the book, including the fact that there are no extant historical documents from Osman's lifetime. A decent history but not particularly focused on Osman I.